As a small business owner, you’ll no doubt be familiar with the ups and downs of running your business. One month you’ll be incredibly busy, and then the next month you’ll find yourself with too much time on your hands. 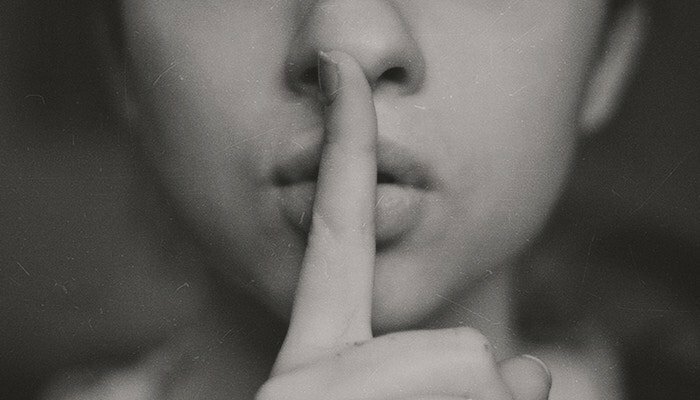 So what to do when your small business goes quiet? It can be concerning when business is slow, especially when it comes to earnings and cash flow. So rather than worrying, let’s make sure you make the most of your time! Because what to do when your small business goes quiet is simple: Improve your small business, hone your skills and seek out new projects. This way you’ll be prepared for the next quiet period – or make sure business will never be quiet again. Perhaps the most obvious answer to what to do when your small business goes quiet is to generate new clients and customers. If you’re less busy with client work, use your time to actively seek out new customers in your niche. Attend networking events and make new connections: This is a great way to meet new people – both potential clients as well as other businesses you could collaborate with. Get people interested in your business: Have a great presence on social media, host a flash sale, offer new clients a special discount or run a competition. Target a different audience: Has your target audience changed since you started your business? Research the market to find new clients in a niche you might not have considered before. Find out more about how to define your target market to improve your small business marketing. During a quiet spell, it’s more important than ever to focus on the clients and customers you do have. Make sure you’re doing the best work you can, and keep your clients happy. This may lead to new projects with your existing clients, or they might refer you to other people who need your services. Plus, it helps to keep you focused and working hard, ready to come out of these quiet times. Evaluate how things are going with your current clients or customers: Do any of them need additional services? Instead of working on a one-off project, could you work on an ongoing monthly retainer basis instead? Contact clients you’ve previously worked with: See if they require any more services. Keep in touch with your previous clients as they already know and trust you, so are likely to hire you again in the future. Work on a campaign for repeat business: Encourage previous customers to buy from you again. Give them a loyalty incentive or a special offer. Update your website, your portfolio and your social media profiles: Add in any new work you’ve done, write up some case studies, or simply give your About page a refresh to reflect your current business goals. Catch up on all your admin work: Make sure your accounts are up to date. Use the opportunity to make a head start on big tasks like filing your tax return. Keeping everything in order will make it easier to work efficiently at busier times. Take a course or attend a workshop to improve your skills: Keep up with the latest trends in your industry and learn some new skills during a quiet spell. This will help you to position yourself as an expert and attract new clients. Last but not least in this list of what to do when your small business goes quiet way is to do some market research. Use the time to strategise ways you could grow and expand your business and improve your marketing strategy. It’s easy to continue with your usual marketing when you’re busy. But in quieter times it can be good to evaluate whether this is the most effective way to market your small business. Find out how your competitors are doing: Do they seem to be going through a quiet spell too? Or are they growing? Research as much as you can and see if there’s anything you could be doing differently to keep up with your competitors. Discover ways to expand or improve your products and services: Use your extra time to brainstorm new product ranges, research ways you can upgrade your current services or refine any packages you offer. Find out what your clients or customers want, and offer it to them: Carry out some market research to find out what people need. Do your current products and services cover this, or do you need to update them to keep up with demand? Previous Article Previous Article: Should You Work From Home or Get an Office for Your Small Business?